A study conducted by scientists from UC Berkeley, UC Davis, UC Cooperative Extension and the U.S. Geological Survey found that since 1930, the density of large trees in California has decreased, reported John Fowler of KTVU News Channel 2. The story said scientists compared exquisitely detailed tree data collected in the 1920s and 1930s with tree surveys made between 2001 and 2010. They identified significant and rapid changes in basic forest structure. 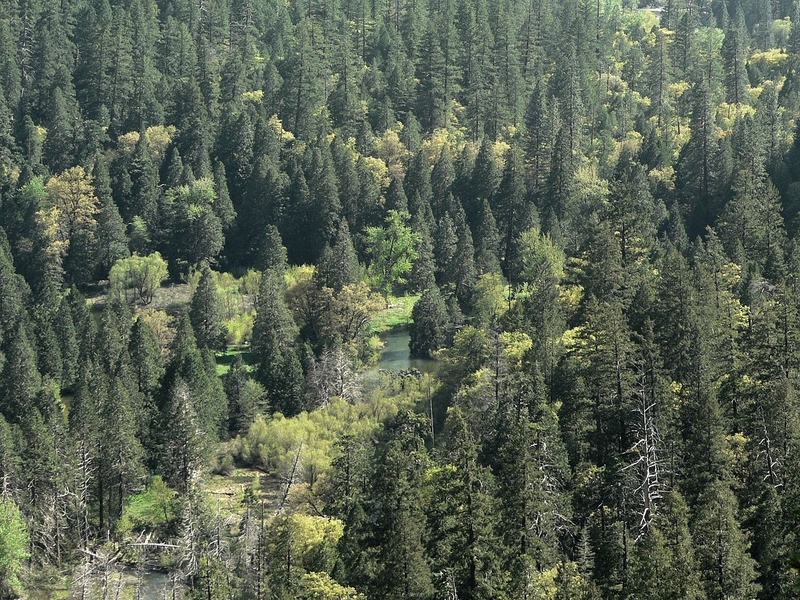 As large tree density fell across the state, and the density of small trees increased. 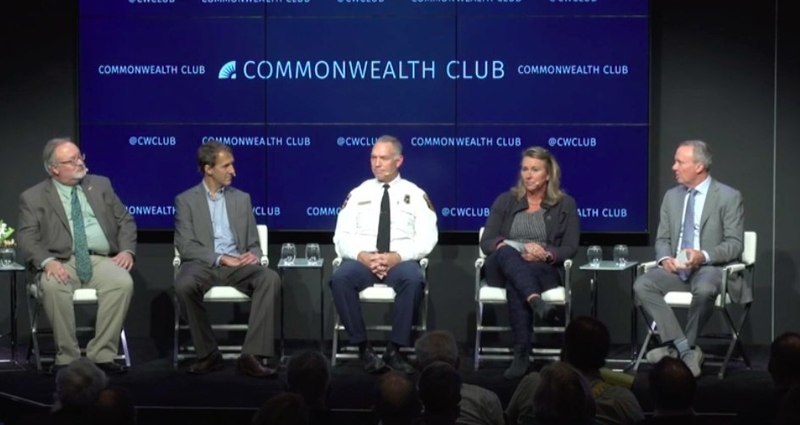 "The thing that I think is particularly worrisome is how widespread this is," said Maggi Kelley, UC Cooperative Extension specialist in the Department of Environmental Science, Policy and Management at UC Berkeley. "These changes will have an impact on how animals use the forest, how fire moves through the forest and the way we view the forest." "Our grandkids will definitely see a difference," she said. The Los Angeles Times also covered the new research, which will be published in the Proceedings of the National Academy of Sciences. LA Times reporter Taylor Goldenstein spoke to study co-author Mark Schwartz, a professor of environmental science and policy at UC Davis and director of the John Muir Institute of the Environment. Schwartz said a denser forest allows fire to travel faster, causing more devastation. After a fire, new, smaller trees grow that are more likely to catch fire, and the cycle continues. Just how much the change in forest structure is due to fire suppression and how much results from climate change is hard to tell because the two are interrelated, Schwartz said. National Geographic magazine invoked Peter, Paul and Mary's mournful ballad in its headline, "Where have all the big trees gone? They've gone to logging and housing - but especially to climate change." 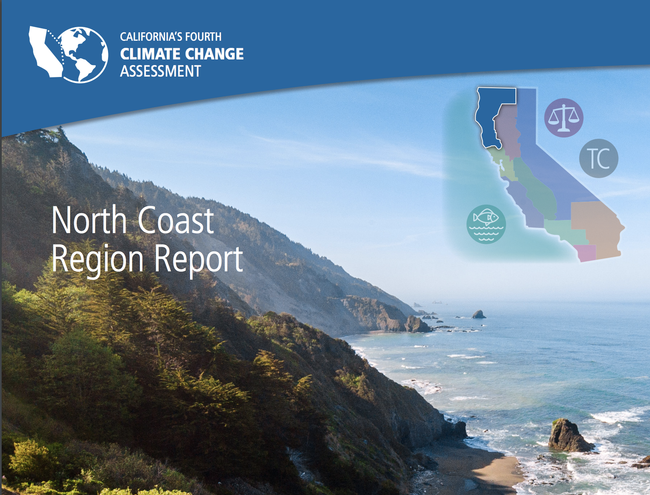 Reporter Warren Cornwall wrote that no area was immune to the forests' decline, from the foggy northern coast to the Sierra Nevada mountains to the San Gabriels above Los Angeles. The loss of big trees was greatest in areas where trees had suffered the greatest water deficit. Large trees in general appear to be more vulnerable to a water shortfall. Though the 2011-14 drought might have an impact on forest change, it was not reflected in this study because the data was collected before the drought began. The food vs. fuel debate: Growing biofuel in the U.S.
Studies suggest biofuel can be grown on 'marginal land,' but no standard definition of 'marginal land' exists. In order to slow global climate change and achieve greater energy independence, Americans are showing an increasing interest in switching over to clean, renewable fuels made from home-grown crops. In fact, Congress has mandated that at least 16 billion gallons of cellulosic ethanol be added to the U.S. fuel supply by 2022. However, estimates suggest that growing crops to produce that much biofuel would require 40 to 50 million acres of land, an area roughly equivalent in size to the entire state of Nebraska. Kelly and UC Berkeley graduate student Sarah Lewis are conducting research to better understand land-use options for growing biofuel feed stock. They used a literature search, in which the results of multiple projects conducted around the world are reviewed, aggregated and compared. 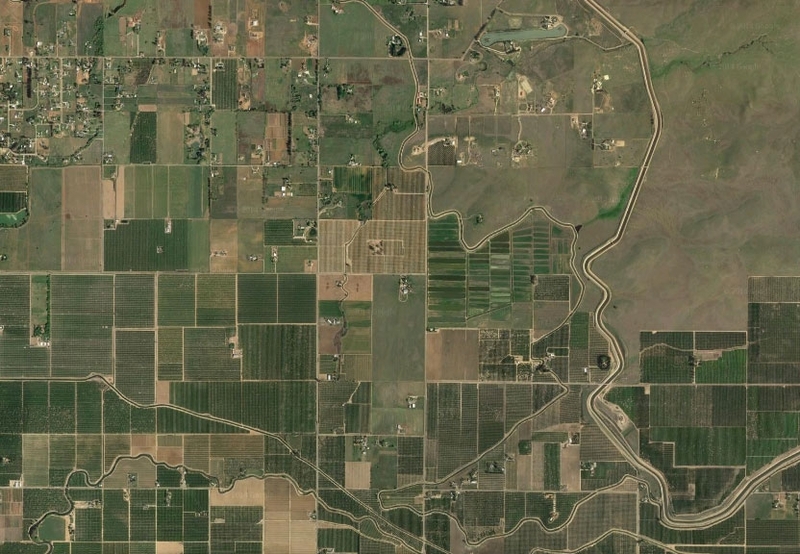 Kelly and Lewis' literature review focused on projects that used geospatial technology to explicitly map marginal, abandoned or degraded lands specifically for the purpose of planting bioenergy crops. They narrowed their search to 21 papers from 2008 to 2013, and among them they found no common working definition of marginal land. The research report, titled Mapping the Potential for Biofuel Production on Marginal Lands: Differences in Definitions, Data and Models across Scales, was published in the International Journal for Geo-Information. Click here for this story in Spanish. An initiative to improve energy security and green technologies is part of UC Agriculture and Naturalist Resources Strategic Vision 2025. Because management projects in contentious natural resource contexts often involve finding reasonable compromise or shared understandings between participants, the success (or failure) of such management is partly about communicating information. Techniques for public participation continue to evolve in order to facilitate a more comprehensive flow of information to, from, and between diverse audiences. The Internet is part of this evolution: web-based tools provide information exchange between diverse participants and stakeholders about complex environmental systems. But how effective are these tools and do they facilitate the flow of information required in adaptive management? Maggi Kelly, UC Cooperative Extension specialist in the Department of Environmental Science, Policy and Management at UC Berkeley, and Lynn Huntsinger, professor in ESPM at Berkeley, and graduate students Shasta Ferranto, Ken-ichi Ueda and Shufei Lei examined the role of the web in facilitating public participation through a case study - the Sierra Nevada Adaptive Management Project (SNAMP) - a participatory adaptive management project focused on Forest Service vegetation management treatments in California’s Sierra Nevada with a participatory website. Analyzing three years of website traffic data from Google Analytics, researchers found that the SNAMP website received over 71,000 unique visits from the United States and other countries. Site traffic peaked when quarterly “web updates”- emails sent out to stakeholders with information about the project and any updates - were sent. The data from an email survey conducted by the SNAMP Public Participation Team in 2010 showed that most survey respondents (72.2 percent) had visited the website. Email survey respondents also agreed that the website helped them keep up with SNAMP events, increased information transparency, was easy to use, and was a good source of information. The web also played a small, but important role in public consultation, by providing a discussion board for targeted questions and feedback between the public and SNAMP scientists. However, Internet technology did not actively support the two-way flow of information necessary for mutual learning. It complements, but does not substitute for, face-to-face interactions and public meetings; does not facilitate three-party conversations very well; and has a very small user base to generate sufficient online content and dialogue. Based on this case study, public participation is most effective when a combination of participatory tools are used, including the web, public meetings, active outreach, and open channels of communication for reaching a broad pool of participants needed for social networking. Website design should be adaptive, and website evolution and maintenance should be budgeted ahead and funded. User needs assessments are necessary to understand how the users collaborate and interact during the life of a project. Full Reference: M.Kelly, S.Ferranto, K.Ueda, S.Lei, and L.Huntsinger. 2012. 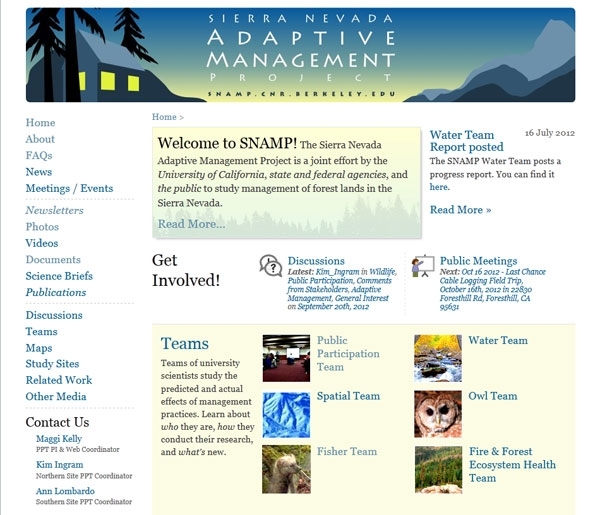 Expanding the table: the web as a tool for participatory adaptive management in California forests. Journal of Environmental Management 109: 1-11.